مثنوی, محمدرضا. (1390). اکوسیستم شهری پایدار، پارادایم یا پارادوکس؟ ضرورت بازنگری در رابطه شهر و محیط زیست. مجله علمی-ترویجی منظر, 3(16), 59-63. محمدرضا مثنوی. "اکوسیستم شهری پایدار، پارادایم یا پارادوکس؟ ضرورت بازنگری در رابطه شهر و محیط زیست". 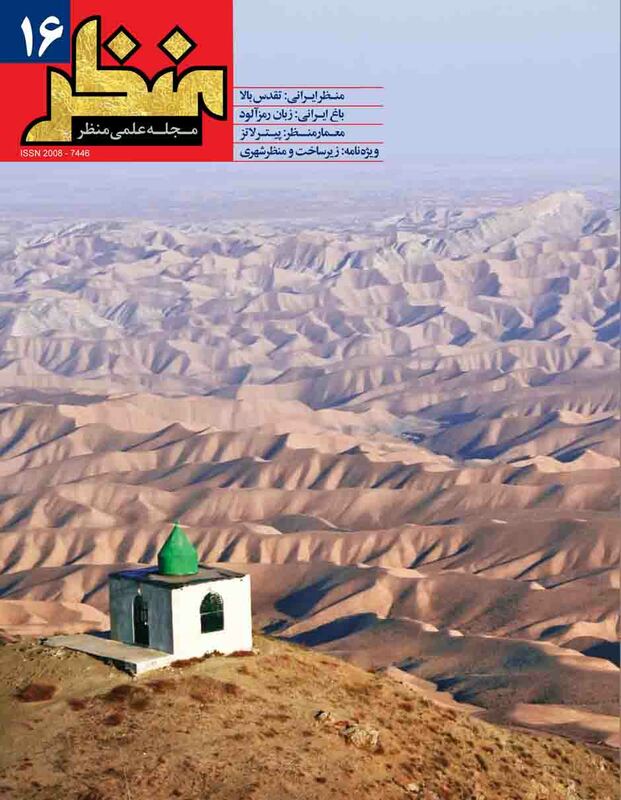 مجله علمی-ترویجی منظر, 3, 16, 1390, 59-63. مثنوی, محمدرضا. (1390). 'اکوسیستم شهری پایدار، پارادایم یا پارادوکس؟ ضرورت بازنگری در رابطه شهر و محیط زیست', مجله علمی-ترویجی منظر, 3(16), pp. 59-63. مثنوی, محمدرضا. اکوسیستم شهری پایدار، پارادایم یا پارادوکس؟ ضرورت بازنگری در رابطه شهر و محیط زیست. مجله علمی-ترویجی منظر, 1390; 3(16): 59-63. نقش دوسویه شهرها در ایجاد تنش‌های زیست محیطی و پتانسیل آنها برای تغییر جهت به سوی توسعه پایدار این مراکز را حساس و حایز اهمیت و با چالش‌های متعددی مواجه کرده است. به طوری‌که، امروزه چالش‌های محیط زیست و زیرساخت‌های شهری به عنوان یک مسئلة جدی در مقابل شهروندان و مدیران شهری و تصمیم‌سازان عرصه زندگی مدنی قرار گرفته است. رشد سریع جامعه‌های شهرنشین و افزایش بی‌رویه سکونتگاه‌های شهری در گروی تخریب، آسیب، و یا نابودی پتانسیل‌های محیطی و طبیعت بستر است. زیستگاه‌های آبی و خشکی و تنوع زیستی، پوشش گیاهی و حیات جانوری به شدت در معرض تهدید و نابودی است. رویارویی خردمندانه با این چالش نیازمند توانایی درک درست و سیستماتیک از هردو مفهوم و عملکرد محیط زیست به عنوان یک سیستم طبیعی و تولیدکننده از پیش تعریف‌شده، و شهر به عنوان یک سیستم انسان‌ساخت و مصرف‌کننده و وابسته به محیط بسترش عمل می‌کند. درک و فهم رابطه عمیق این پدیده مصنوع (شهر) و بستر طبیعی (محیط زیست) برای حل مشکلات شهر و محیط، و امتزاج و بهینه‌سازی سیستم‌ها و فرایندهای چندگانه طبیعی و انسانی امری اساسی است. درحالی‌که شهروندان، صاحب‌نظران، و دولت‌ها به دنبال راه‌حل‌های پایدار هستند که به طور همزمان تداوم رشد و توسعه و ارتقای کیفیت محیط زیست و بهبود عملکرد نهادهای شهری را فراهم کنند این امر جز با رویکرد کل‌نگر و استفاده از تجارب علمی و فنی و تخصص‌های مهندسی و مدیریتی برای حل موفقیت‌آمیز چالش‌های پایداری و برنامه‌های بحرانی میسر نخواهد شد. The double role of the cities in creating environmental tensions and their potentials in shifting toward sustainable development makes them supersensitive and considerable centers where numerous challenges are faced. For instance, the citizens and city managers and the planners are all concerned about the environmental challenges. The rapid growth of the urban communities and the uncontrolled urban settlements is obtained through destruction and devastation of natural potentials and the nature of the context. The natural land and water habitats, biodiversity, vegetation and animals are strongly endangered and at the risk of distinction. A wise confrontation to this challenge requires an accurate and systematic perception of the concept and the function of the environment as a predefined productive natural system and of the city as an environmental related and a manmade consumer system. Therefore it is essential to perceive and understand the profound relations of the built phenomenon (city) and natural context (environment) in order to resolve the problems of the environment and city and also synthesize and optimize the multiple human and natural systems and processes. In this case the citizens and theorists look for sustainable solutions that will provide sustainable development with environmental quality increase and an improvement in performances of municipal entities simultaneously, while this case will be fulfilled by applying the holistic approach and benefiting from the use of scientific and technical expertise and managerial and engineering experience in resolving the sustainability and planning problems successfully. The development system and the physical – spatial development of the city should be adapted to the environmental capacities as a context and a natural infrastructure and it must take place in the framework of sustainable urban development as well. The natural environment as a natural infrastructure of the city - compared to built and manmade infrastructures – requires a holistic approach in planning and conversation. The following elements are the providing sources of the city that require planning, design and implementation to provide the city ecosystem and the environment benefits simultaneously within the sustainable urban development framework. Masnavi, M.R. (2011) Sustainable Urban forms planning and design strategies: the compact city, urban sprawl, and mixed use development in theory and practice. - (2007) U.S. Census Bureau, International Data Base.